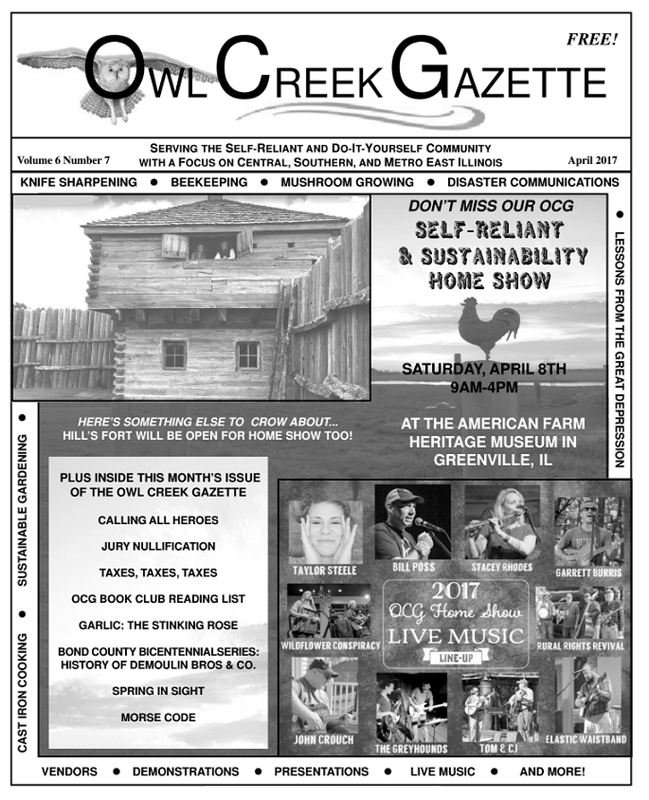 Owl Creek Gazette: The April 2017 Issue of the Owl Creek Gazette is Out! 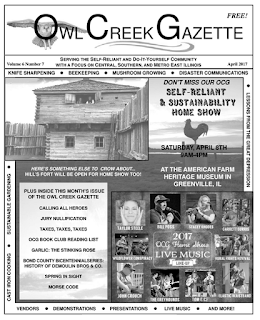 The April 2017 Issue of the Owl Creek Gazette is Out! 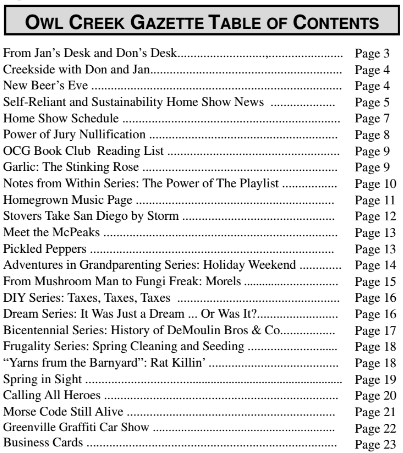 We invite you to give this month's OCG a read via our Current Issue page! 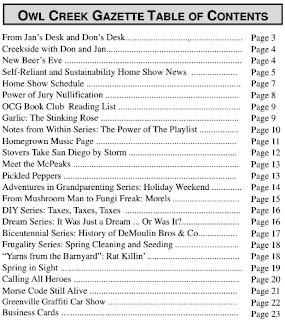 Update: Visit our Archived Issues page to read the April 2017 Issue.